More than stuffing money under a mattress. Retirement accounts are touted as the greatest thing to have for security once you stop working. Since many of them are guaranteed, or at least provide relatively stable returns, the money is guaranteed to be there when you need it. Unfortunately they all aren’t created equal, and many times you’re not getting what you think. Part of this has to do with our fixation on fixed amounts, such as a million dollars. This was perhaps best illustrated in the Austin Powers movies, where Dr. Evil is laughed at when he asks for $100 million, and is then taken more seriously when he ups it to $100 billion. Except, in reality, neither one of those amounts of money is nearly as much as it seems. The movie addressed this by the laughter and comic approach, but many people missed the practical value of the lesson. 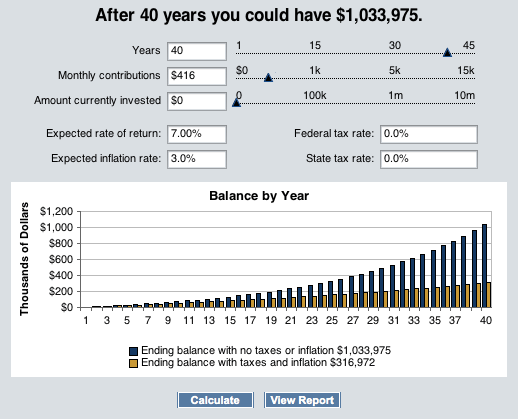 A retirement account, started when a person is 20 years old, could easily have a value of one million dollars in 40 years. However, due to inflation, the spending power of that money would be significantly less. In fact, the longer a person waited to retire, the less real value their retirement savings would have, unless it was invested very wisely. Assuming the current $5,000 per year maximum contribution in the US for IRA accounts, a person would need to deposit $416 per month at a 7% return have one million dollars in 40 years. Unfortunately, 40 years of 3% inflation will have reduced the purchasing power of that money by more than 70%. In other words, our saver would have about $300 thousand worth of purchasing power, despite being a millionaire. You saved a million dollars, but don’t plan to live like a millionaire on that savings. This isn’t something a lot of people think about when considering a retirement account. It’s also just one of many reasons the services of a professional investment advisor are recommended. Based on the above information, any retirement planning needs to take inflation into consideration. If you weren’t a professional investor, you’d likely have missed that, instead focusing on the million-dollar figure, which savings accounts teach children to focus on. Because we’re factoring in the hidden cost of savings, the figures change significantly. For example, if you’re comfortably living off $50,000 per year today, in 40 years you’ll need $163,000 to maintain that same lifestyle at 3% inflation. If you’re planning to enjoy 20 years of retirement, then you need to factor in that 3% for each of those 20 years as well. So while you’d need $163,000 for your first year of retirement, 20 years later you’d need almost $295,000. Just doing the most basic math, which any professional retirement advisor would cringe over, we can quickly some up with some fairly basic figures. 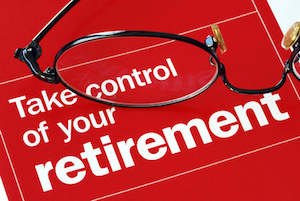 By calculating the $163,000 per year that maintaining your lifestyle will require at retirement age, multiplied by 20 years of planned retirement, we learn that you’ll need to have saved more than three million dollars. That significantly changes our initial ‘million dollar’ plan. Now, our saver will need to save almost three times the IRA contribution limits. That means saving $1,312 per month, assuming the same calculations as our million-dollar retirement example. This time, as shown below, the spending power of your savings will actually be a million dollars. Now you know what it takes to be a millionaire, and just how hard it is to save that much. Diversification is also important – but not just in stocks. Actual investment diversification is important. This can include real estate, precious metals, and antiques, all of which are all methods of storing value above and beyond what is allowed for traditional retirement accounts. By being aware of just how much you’ll really need when you retire, rather than what you need today, you’ll be better prepared to retire in comfort. If living abroad is in your plans, preparing for that now is also a good idea. The regulations and requirements of your destination country may be quite different than what you’ve come to expect at home. International Living has a list of the top retirement destinations for 2014, which is updated every year. Of course, you could always be a maverick and make your own way. Just be sure to have enough saved up to take care of yourself and your loved ones.